Is the iPhone SE 2 just a dream, or will it be reality? The rumors about a new iPhone SE are gaining momentum, newly fuelled by an alleged first video from China. What are the rumors and how would an Apple iPhone SE 2018 differ from its predecessor? 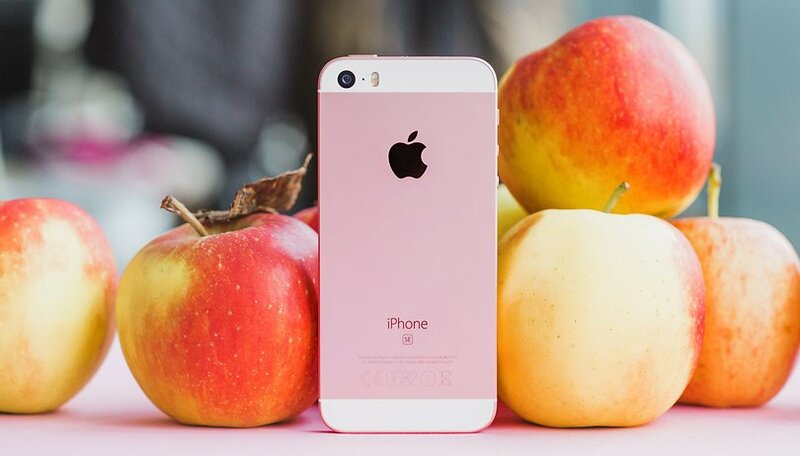 In March 2016, Apple released the iPhone SE, a smartphone that didn't only impress just us. At that time, it was the cheapest iPhone in the Apple range, with a price of $399 for the 16 GB version and $449 for the 64 GB version. The manufacturer was able to guarantee the favorable sales price for Apple by reusing the case, display and battery of the iPhone 5S, but updating the internal hardware like the SoC (to the A9) and the camera modules. In 2017, Apple then doubled the internal memory for the iPhone SE, which was an unexpected hit. Instead of 16 GB, there was 32 GB, and instead of 64 GB, there was now 128 GB. The prices for the iPhone SE 2017 are $349 and $449. Since the prices for the new iPhone 8, 8 Plus and iPhone X are very high, Apple kept the iPhone 6S and the iPhone 7 in its current offerings to occupy the price levels between the iPhone SE and the iPhone 8 and iPhone X. Considering that the development effort for the iPhone SE was less extensive than with other iPhones, it's possible to imagine that Apple could release a successful compact iPhone again this year. However, most analysts, including Ming-Chi Kuo, expect Apple to focus on an affordable iPhone X, and the launch of an iPhone X equipped with an IPS LCD display and aluminum frame could take some time. A cheap iPhone X wouldn't be in the price segment of the iPhone SE at around $400, but far above it, so there would still be room in the lineup nevertheless. Since yesterday, a video of a supposed iPhone SE 2018 has been circulating which shows what a new iPhone SE might look like. In terms of size and basic shape, everything remains the same, except that Apple has switched from aluminium to glass on the back, just as it did when moving from the iPhone 7 to the iPhone 8. The advantage here would be that wireless charging could give iPhone SE a feature that hardly any other smartphone in the compact class has. Inside, Apple would have to swap out some parts and make the leap to the A10 SoC. On the memory and camera side, Apple could simply clone the specs of the iPhone SE from 2017. In terms of price, this would mean a slight increase to around $500 for the model with the smallest amount of internal storage. Is a new iPhone SE coming or not? Two years have passed since the first iPhone SE was launched. The demands of users have increased, as always, and one has to ask oneself whether a 4-inch smartphone is really still attractive enough compared to the competition. Will a hardware update of the iPhone SE, with a changed back and possibly wireless charging, be enough to make it a hit in the compact class again? Or might it better to give the iPhone 6S or iPhone 7, both of which are still being sold, a hardware update and give it the name iPhone SE? In my opinion, the latter would make much more sense and mean less effort for Apple. What do you think? Would a cheap, compact new iPhone be appealing to you? Let us know your thoughts in the comments!